Our crew had an awesome time testing out the Fuego Box subscription hot sauces! We had the BM and kids test the huge variety of small batch hot sauces we were given, with rave results! Check out our livestream below for all the info on our favourites. Fuego Box was created by a guy who went down the hot sauce rabbit hole . It started with an early Tapatio obsession and advanced with the likes of Cholula, Crystal, and Sriracha. After that, things really got crazy… bhut jolokia and african fatalii peppers; locally harvested, hand-bottled hot sauces; and unique and delicious flavors that go with just about every kind of food. 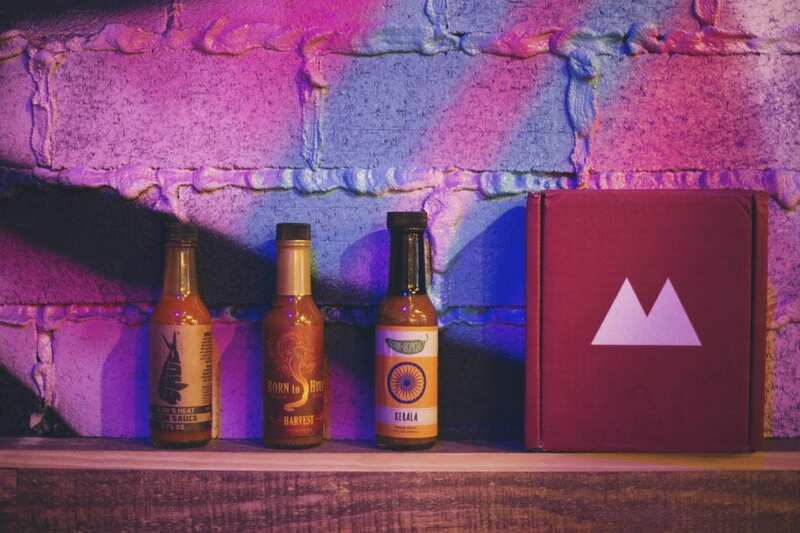 Fuego Box has scoured the Earth looking for the perfect craft and small-batch hot sauces for their boxes. They don’t focus on insane heat or gimmicky sauces, but do focus on dynamic taste accompanied by the appropriate amount of heat. We bet if you try a Fuego Box Subscription hot sauce you will get the best hot sauces that you’ve probably never heard of. Once you have tasted your Fuego Box Hot sauce, odds are your whole relationship with hot sauce will change.